Omar Oil Field, Syria: US-backed forces pressed the battle to expel diehard terrorists from the last pocket of land under their control in eastern Syria on Tuesday after hundreds fled the holdout overnight. Aided by the warplanes and artillery of a US-led coalition, the Kurdish-led alliance has made way into a patch of four square kilometres. “Most of those who got out are foreigners,” Observatory chief Rami Abdul Rahman said. “The progress is slow and methodical as the enemy is fully entrenched and IS [Daesh] fighters continue to conduct counter attacks,” he said. The SDF launched the battle to expel IS [Daesh] from the eastern province of Deir Al Zor in September, slowly tightening the noose around the terrorists and their families since December. In the past two months, more than 37,000 people, mostly wives and children of terrorists fighters, have fled into SDF-held areas, the Observatory says. 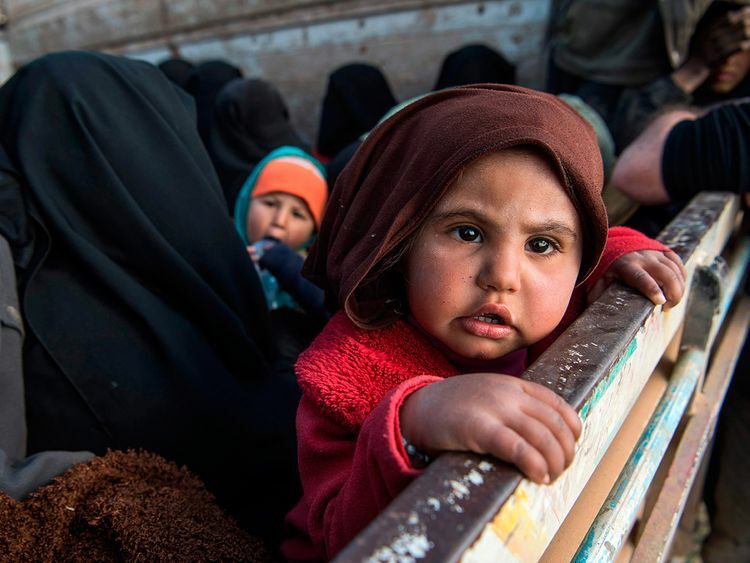 That figure includes some 3,400 suspected terrorists detained by the SDF, according to the Britain-based monitor, which relies on sources inside Syria for its information. Two French women told AFP they paid smugglers to take them out of the battered Daesh-held holdout, but Iraqi terrorists had prevented other foreigners from leaving. Bali, the SDF spokesman, said on Saturday that up to 600 terrorists could remain inside the pocket. But the group’s elusive leader Abu Bakr Al Baghdadi who proclaimed the “caliphate” in 2014 was likely not there, he said. At the height of their proto-state, Al Baghdadi’s followers implemented their brutal implementation of Islamic law in an area the size of the United Kingdom. The terrorist group retains a presence in Syria’s vast Badia desert and has continued to claim deadly attacks in SDF-held areas. “Our brave warriors have liberated virtually 100 per cent of ISIS [Daesh] (territory) in Iraq and Syria,” he said. The decision has left Syria’s Kurds scrambling for protection from Damascus against a long threatened attack by neighbouring Turkey. Syria’s war has killed more than 360,000 people and displaced millions since starting in 2011 with the brutal repression of antigovernment protests.